The surveyor S. P. Smith studied Mt Tarawera and the surrounding area to see how much the countryside had changed after the eruption. 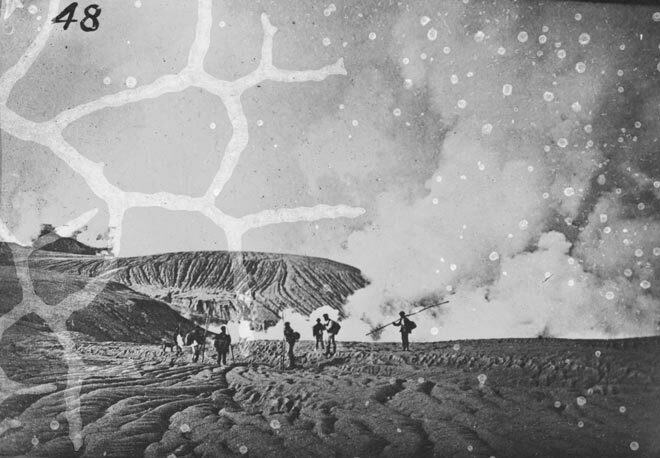 This photograph, taken on 27 July 1886, shows the survey party approaching the north-western edge of Rotomahana crater, which is still steaming vigorously. Rain has eroded the thick blanket of mud and ash into narrow rills, which persisted for years after the eruption.